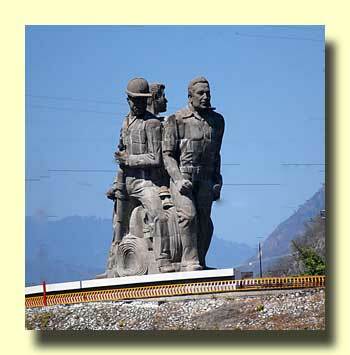 In the old days it was quite a drive down to Tuxtla Gutiérrez from San Cristobal. With the new toll road it's easy to drive down and see the Tuxtla sights. 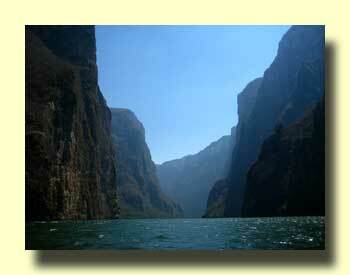 Probably the most popular tour in the area is a boat ride up the Sumidero Canyon. From Chiapa de Corzo, just outside Tuxtla, your boat takes you downstream on the Grijalva River through the canyon to the dam, a distance of about 21 miles. 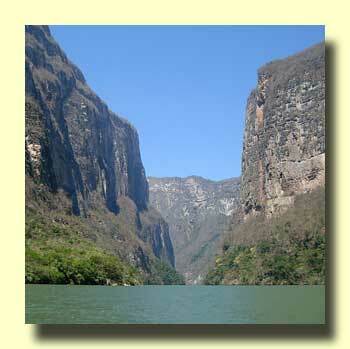 The Grijalva is one of Mexico's major rivers. It's about 300 miles long. From here it flows into another reservoir called Lake Nezahualcoyotl near the Veracruz border, then flows northeast to pass near the city of Villahermosa. 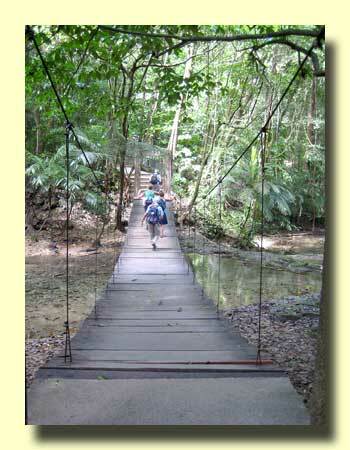 There it merges with the Usumacina River and empties into the Gulf of Mexico just north of Frontera. 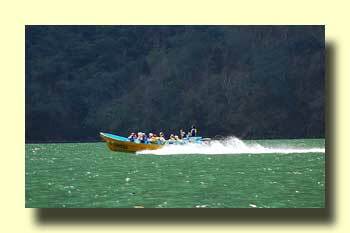 The boat trip through the canyon is actually upon the lake which has formed behind the Manual Moreno Torres Dam, also known as Chicosán. The canyon is the star of the trip. The walls tower 2,500 feet above the water, and they go almost straight up. 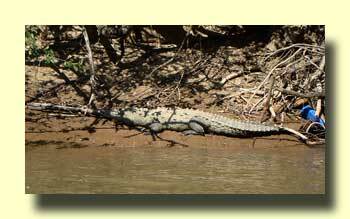 The area is a nature reserve and you'll find some critters including crocs and birds. 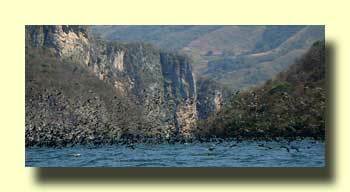 When we visited this time there were huge flocks of cormorants on the lake. Boats leave from three embarcaderos. There are docks in Chiapa de Corzo, the Embarcadero Cahuaré downstream on the same side of the river, and another embarcadero on the Tuxtla side. We like Cahuaré because driving access is easy with parking in a large fenced lot with room for RVs (except on Sundays and holidays) and there is enough traffic that you don't need to wait long for a boat. 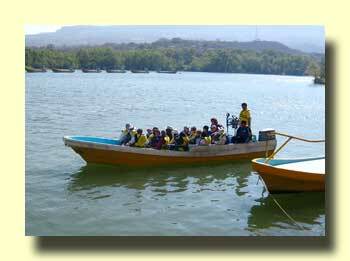 The price is 150 pesos per person including the entrance fee to the reserve. News reports several years ago talked about huge quantities of plastic garbage in the canyon. We saw very little of that, perhaps due to the use of a barge with a spinning collection basket (much like the fish wheels used in Alaska) which we saw anchored near the mouth of the canyon. Whatever they've done seems to be working pretty well. A boat trip is not the only way to see the canyon. 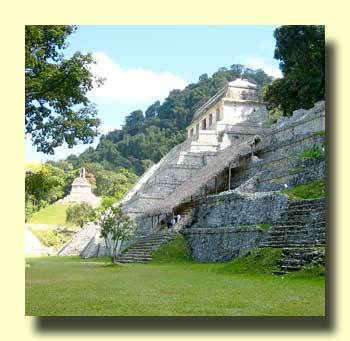 From Tuxtla a road leads up to the canyon rim where there are five miradors or viewpoints. The canyon is almost as impressive from the top as it is from the bottom. 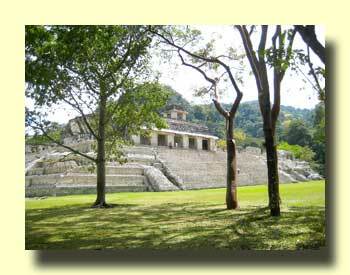 Spent the day in the Palenque ruins. It's just a short walk up the road from the Mayabell to the lower entrance gate. Now there's a paved walkway up past outlying ruins and waterfalls to the central plaza. With several campgrounds nearby, easy road access, and the surrounding jungle, it's easy to see why everyone loves these ruins. After Palenque we decided to travel a little farther south. 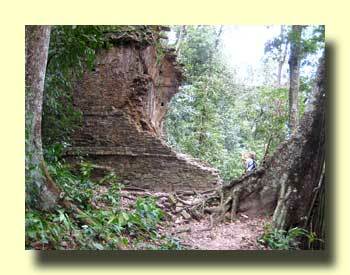 We've been to the Bonampak ruins before, this time we're planning to visit Yaxchilan. More on that next week. What I really want to show you is the place where we're spending the night. 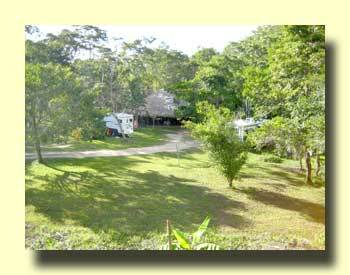 Campamento Lacandones has no-hookup camping in a grassy area near the restaurant. There's a picture below. 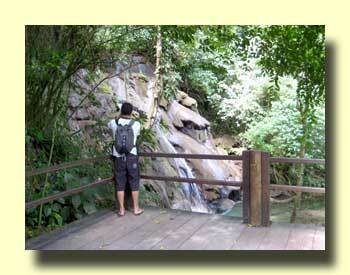 Just to the right is a beautiful clear jungle river, the swimming is great! You're likely to share the rive with a relatively rare Sungrebe! We're told that one seems to wander by each day.